In the modern digital age, having a reliable and speedy internet connection is an essential part of a business’ functionality. Depending of the type of business you are running, how many users will need the internet, and how much usage will accumulate, the best type of broadband for your business will vary. Midshire have a fantastic range of business broadband options, including ADSL, FTTC (Fibre), Leased Lines and MPLS. This great range of broadband options means there’s a broadband package to suit a business of any size. Midshire has over 25 years of experience in the telecommunications industry, and has installations across the whole of the UK. At Midshire, we’re proud to offer our customers more than just a telecommunication solution; we offer the best levels of customer service and support. 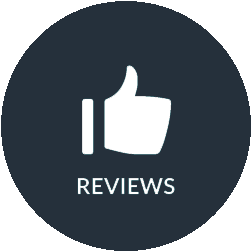 Don’t just take our word for it, below are some business broadband reviews from our customers.